No, it's not a library from Fascist Italy. 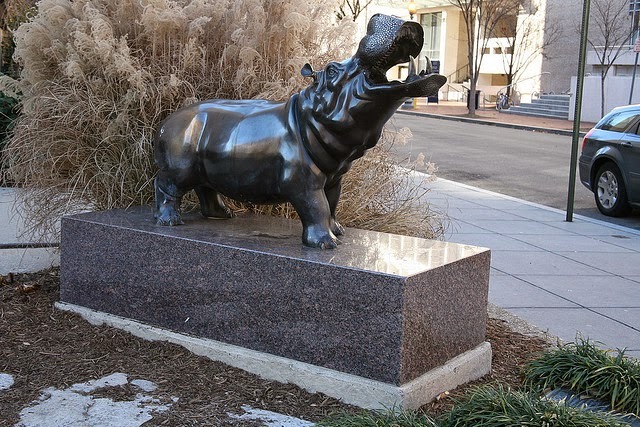 Behold the Leisner Auditorium of the George Washington Univeristy in Washington DC! 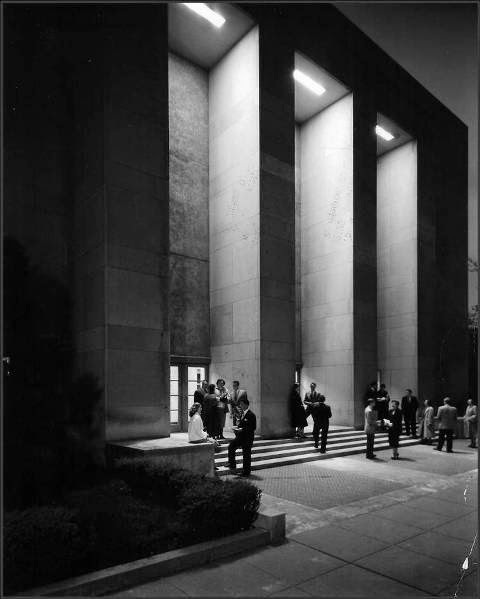 When everyone else was doing "stripped-down" classicism in DC in the 40s, architects Faulkner and Kingsbury decided to go completely naked with the Auditorium, named after a donor and finished in 1943. A symmetric building clad in limestone, it only hints at classical roots, with a level of detail some might find to be a bit harsh, while others may think the structure to be strikingly modern and intense in its austerity. I'd call it a guilty pleasure, I suppose. Inhuman and amazingly ruthless though it is, the shadows cast by its narrow porch, the dynamic of the three entrances invisible from each other, and the soft patina of the stone walls in my opinion makes it good enough to deserve its place. If I could make one wish, it would have been for the pillars to be of massive limestone, or at least not as obviously clad in rather thin plates of it. 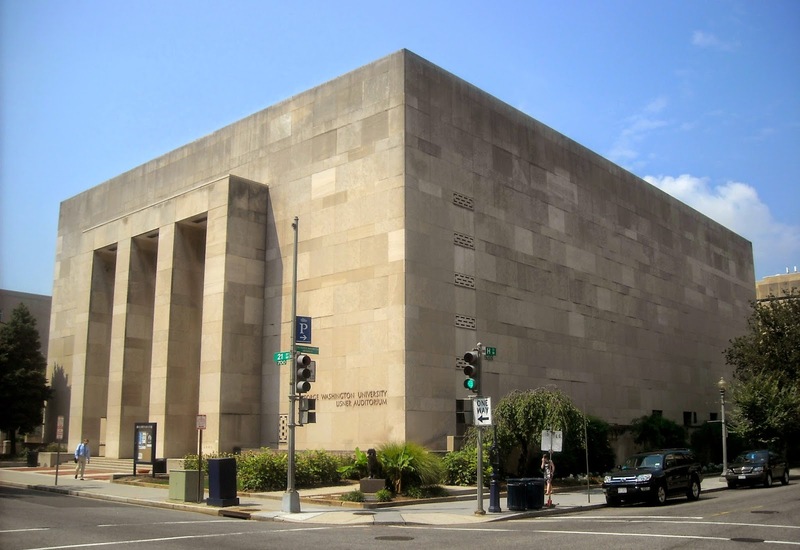 The building has been used both for concerts, movie screenings, lectures and debates throughout the years, and continues to function as a gathering place in modern day DC. the river shallows from the porch of their beloved Mount Vernon on summer evenings. to lure the creatures close enough to the shore to touch a nose for good luck.